Home Technology Wifi – What is it? Most internet routers provided by Service Providers come with wired connections that you can use to connect a desktop PC, printer or other device so that you can share the resources. They also come with WiFi that extends the connection from the physical wired connection to portable devices. But how does WiFi work? 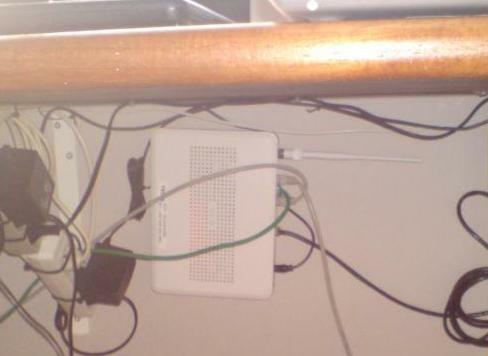 In short it provides the same type of connection to your router and out to the internet using radio waves instead of cables. The first thing you should do is secure the router so only you can make changes to it. Most routers are supplied with a default password that is either blank or “password”. This should be changed to something that only you as the owner of the network know. Using the Belkin router as an example, the default password is blank. Once changed you should make a note somewhere safe of the new password. Any further changes will require this. Don’t write it on the back of the router. If, in the future you forget it, you can, in most cases, perform a reset on the router, returning it to the factory settings so you can start again. When you switch on a WiFi router it will broadcast a name that can be used to identify it, the SSID or Service Set Identifier. This name will, by default, be something that identifies the manufacturer or supplier of the WiFi router, i.e. Belkin54G or BTHomehub. This name can be changed to anything you want in the router setup menu. You can also choose to hide the network by selecting an option to not broadcast the SSID. In reality this is pointless as all you are doing is making life hard for yourself when you try to setup a connection form your laptop or phone to the router, and the name is not really hidden, it is broadcast but tells your devices that they can’t see it unless they know what it is called. The channel that you broadcast on can also be set. There are 11 channels in total, but in reality on 3 of these can be used to avoid interference with other WiFi networks. Most routers will set themselves up and decide which channel is best for their environment, but if they don’t you can chose between 1, 6 and 11. Once you have installed your WiFi router you need to think about how it could open our office network unwanted intrusion. WiFi routers are great for providing freedom of access to the internet and your office network, but they can also offer free access to your files to people from outside your business. WiFi has several methods for protecting your network and data. In the early days there was WEP, Wired Equivalent Privacy. This allows you to encrypt your WiFi connection so that only people who know the key can use the network and access your service. 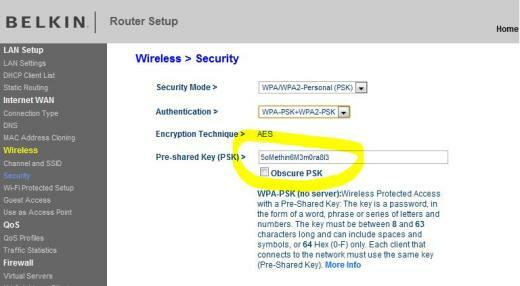 However, WEP has been shown to be very unsecure; in fact you can easily download tools from the internet that will allow you to crack the WEP key, use the WiFi connection and see all the data, so please, don’t use WEP. A better encryption technology exists that is supported by all modern WiFi routers and it is WPA or WPA2 (WiFi Protected Access). This uses a key in the same way as WEP, but the technology is much more secure. When deciding on your encryption key, make sure you use a combination of upper and lower case characters and include some figures. The more complex the better, but make sure it is something you can remember. Next time we’ll look at additional methods you can employ to secure your network and how to set aside network addresses for devices such as printers or hard discs.